When an individual commits a serious offense, chances are that he or she is going to face a criminal charge. When a corporation breaks the law in a significant way, in most cases it faces a civil penalty. This disparity between the treatment of human persons and corporate ones became increasingly apparent to me as I finished processing the data for the expansion of the Violation Tracker database my colleagues and I at the Corporate Research Project of Good Jobs First are releasing on June 28. Violation Tracker 2.0 adds data on some 700 cases involving banks and other financial services companies brought by the Justice Department and ten federal regulatory agencies as well as 600 involving non-financial firms in areas such as price-fixing and foreign bribery. These 1,300 cases account for well over $100 billion in fines and settlements. These plus the environmental, safety and health cases that made up the initial version of Violation Tracker bring the total number of entries in the database to 110,000 for the period since the beginning of 2010. Of that number, only 473 — less than one half of one percent — involve criminal charges. It may come as a surprise that the largest portion of the criminal cases involve serious environmental matters referred to the Justice Department by the Environmental Protection Agency and a few from agencies such as the Coast Guard. The largest of these was a $400 million settlement with Transocean in connection with the Deepwater Horizon disaster in the Gulf of Mexico but most have penalties below $1 million. The next most common category is price-fixing, with 99 cases that imposed penalties ranging up to the $500 million paid by the Taiwanese company AU Optronics. There are 82 tax cases, most of which involve charges against Swiss banks for helping U.S. taxpayers keep their offshore accounts hidden from the IRS. Foreign Corrupt Practices Act cases brought by the Justice Department account for 53 cases, with the biggest penalty, $772 million, paid by the French company Alstom. Other categories include serious food safety violations, market manipulation and failure to adhere to rules against doing business with countries deemed to be enemies of the United States. The significance of the 473 cases is diminished by the fact that in 35 percent of them the companies weren’t really prosecuted. Instead, they paid a penalty and signed either a non-prosecution agreement or a deferred prosecution agreement. These are gimmicks that allow companies to avoid the consequences of a criminal conviction. Of the 308 cases in which there was an actual guilty plea or verdict, 161 were environmental matters, many of which were brought against small companies for things such as toxic dumping. Relatively few large corporations were targeted. The category with the largest number of big business convictions is price-fixing, which in recent times has often meant Asian automotive parts companies. Seven big U.S. and foreign banks (or their subsidiaries) have had to enter guilty pleas. In just two cases did U.S. bank parent companies — Citigroup and JPMorgan Chase — enter those pleas. These were in a case involving manipulation of the foreign exchange market. After their pleas, they and the foreign banks also charged got waivers from SEC rules that bar firms with felony convictions from operating in the securities business. So here’s what it comes down to: Apart from when they engage in price-fixing, large corporations rarely face criminal charges. When they do, they are often allowed to settle without a formal prosecution. And when they do plead guilty, these can get waivers from the consequences of their conviction. Keep this in mind the next time a corporate lobbyist complains about excessive regulation. Note: Violation Tracker 2.0 will be released on June 28. Generic drugmakers are supposed to be the heroes of the pharmaceutical business, injecting a dose of competition in what is otherwise a highly concentrated industry and thus putting restraints on the price-gouging tendencies of the brand-name producers. Just recently, the Food and Drug Administration approved a generic version of Copaxone, paving the way for the first multiple sclerosis medication that is not wildly overpriced. Yet some generic producers are acting too much like Big Pharma. Israel’s Teva Pharmaceuticals just announced a $40 billion offer for its rival Mylan NV, which had recently made its own bid for another drugmaker, Perrigo. A marriage of Teva and Mylan would create the world’s largest generic drugmaker with more than $30 billion in revenue from customers in 145 countries. Even before the Mylan deal, Teva’s shining armor has been getting tarnished. Recently, its subsidiary Cephalon agreed to pay $512 million to settle allegations that it made questionable payments to other generic producers to keep their cheaper versions of the narcolepsy drug Provigil off the market. 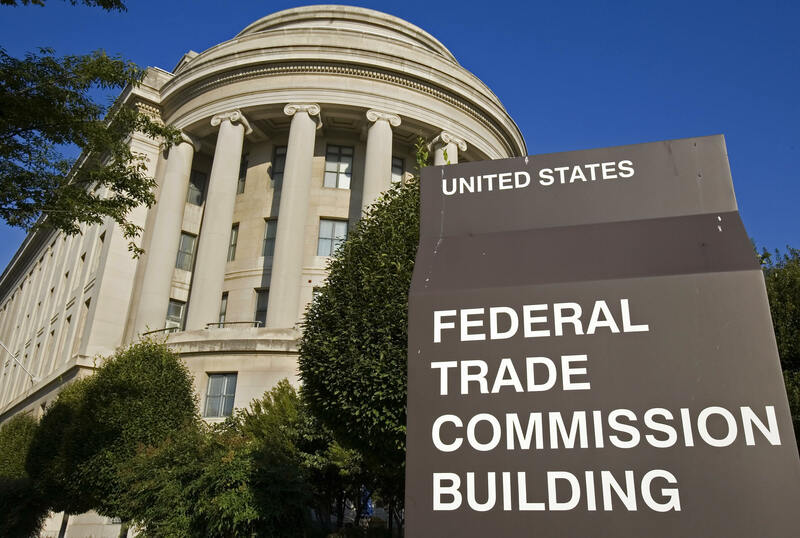 Last year the Federal Trade Commission sued Teva and AbbVie for colluding to delay the introduction of a lower-priced version of the testosterone replacement drug AndroGel. While AbbVie filed what the agency called “baseless patent infringement lawsuits,” it also entered into an “anticompetitive pay-for-delay” deal with Teva. Mylan’s record also has blemishes. It once had to pay $147 million to settle price-fixing allegations. A weakening of the deterrent power of generics is troubling at a time when the brand-name producers remain sluggish in their introduction of new drugs and are doing everything possible to milk their existing offerings. Their idea of innovation seems focused these days on what are known as “biosimilars,” close copies of certain brand-name drugs that are somewhat less expensive but much more costly than traditional generics. In March the FDA approved the first biosimilar, a cancer drug called Zarxio made by Sandoz. Pfizer indicated its intention to compete in this arena by announcing plans to acquire biosimilar pioneer Hospira. Rising drug costs are, of course, a concern not only for individuals but also for taxpayers. The Medicare program, which thanks to the Bush Administration and Congress cannot negotiate with pharmaceutical companies, now spends about $76 billion a year providing drug benefits. To be fair, Part D costs in recent years have been lower than the Congressional Budget Office had previously projected, but the CBO attributed the difference in large part to the increased use of generics. If generic producers continue to consolidate — and collude with brand-name producers — those savings will evaporate and we will be completely at the mercy of Big Pharma. New Resource: Greenpeace has introduced the Anti-Environmental Archives, a collection of thousands of documents on the efforts of corporations and their surrogates to undermine the environmental movement and government regulation. The ongoing corporate crime wave showed no signs of abating in 2013. Large companies continued to break the law, violate regulations and otherwise misbehave at a high rate. Whatever lip service the business world gives to corporate social responsibility tends to be overwhelmed by bad acts. Continuing the trend of recent years, 2013 saw an escalation of the amounts that companies have to pay, especially in the United States, to get themselves out of their legal entanglements. In November JPMorgan Chase set a record with its $13 billion settlement with the U.S. Department of Justice and other state and local agencies on charges relating to the sale of toxic mortgage-backed securities. JPMorgan’s legal problems are not over. There have recently been reports that it may face criminal charges and pay $2 billion in penalties in connection with charges that it turned a blind eye to the Ponzi scheme being run by Bernard Madoff while it was serving as his primary bank. Other banks have also been shelling out large sums to resolve disputes over the sale of toxic securities in the run-up to the financial crisis. Much of the money has gone to settlements with mortgage agencies Fannie Mae and Freddie Mac. Bank of America alone agreed to pay out $10.3 billion ($3.6 billion in cash and $6.75 billion in mortgage repurchases) to Fannie. FORECLOSURE ABUSES. In January, ten mortgage servicing companies–including Bank of America, Citibank and JPMorgan Chase–agreed to an $8.5 billion settlement to resolve allegations by federal regulators relating to foreclosure abuses. LIBOR MANIPULATION. In February, U.S. and UK regulators announced that the Royal Bank of Scotland would pay a total of $612 million to resolve allegations relating to rigging of the LIBOR interest rate index. In December, the European Union fined RBS and five other banks a total of $2.3 billion in connection with LIBOR manipulation. ILLEGAL MARKETING. In November, the Justice Department announced that Johnson & Johnson would pay more than $2.2 billion to settle criminal and civil allegations that it improperly marketed the anti-psychotic drug Risperdal for unapproved use by older adults, children and people with development disabilities. SALE OF DEFECTIVE MEDICAL IMPLANTS. Also in November, Johnson & Johnson agreed to pay more than $2 billion to settle thousands of lawsuits charging that the company sold defective hip implants, causing many individuals to suffer severe pain and injury from metallic debris generated by the faulty devices. INSIDER TRADING. In March, the SEC announced that an affiliate of hedge fund giant SAC Capital Advisors had agreed to pay $602 million to settle SEC charges that it participated in an insider trading scheme involving a clinical trial for an Alzheimer’s drug being jointly developed by two pharmaceutical companies. At the same time, a second SAC affiliate agreed to pay $14 million to settle another insider trading case. Later, SAC agreed to pay $1.2 billion to settle related criminal and civil insider trading charges. PRICE-FIXING. In July, German officials fined steelmaker ThyssenKrupp the equivalent of about $115 million for its role in a price-fixing cartel. In September, the U.S. Justice Department announced that nine Japanese automotive suppliers had agreed to plead guilty to price-fixing conspiracy charges and pay more than $740 million in criminal fines, with the largest amount ($195 million) to be paid by Hitachi Automotive Systems. MANIPULATION OF ENERGY PRICES. In July, the Federal Energy Regulatory Commission ordered Barclays and four of its traders to pay $453 million in civil penalties for manipulating electricity prices in California and other western U.S. markets during a two-year period beginning in late 2006. BRIBERY. In May, the Justice Department announced that the French oil company Total had agreed to pay $398 million to settle charges that it violated the Foreign Corrupt Practices Act by paying bribes to officials in Iran. VIOLATION OF DRUG SAFETY RULES. In May, DOJ announced that generic drug maker Ranbaxy USA Inc., a subsidiary of the Indian company Ranbaxy Laboratories, had pleaded guilty to felony charges relating to the manufacture and distribution of adulterated drugs and would pay $500 million in fines. VIOLATION OF RULES ON THE SALE OF NARCOTICS. In June, the U.S. Drug Enforcement Administration announced that the giant Walgreen pharmacy chain would pay a record $80 million in civil penalties to resolve charges that it failed to properly control the sales of narcotic painkillers at some of its stores. DEALINGS WITH ENTITIES SUBJECT TO SANCTIONS. In June, New York officials announced that Bank of Tokyo Mitsubishi-UFJ had agreed to pay $250 million to settle allegations that it violated state banking laws by engaging in transactions with entities from countries such as Iran subject to sanctions. LABOR LAW VIOLATIONS. In November, the National Labor Relations Board found that Wal-Mart had illegally disciplined and fired workers involved in protests over the company’s labor practices. A Wal-Mart spokesperson was found to have unlawfully threatened employees who were considering taking part in the actions. CLEAN WATER ACT VIOLATIONS. In May, the Environmental Protection Agency announced that Wal-Mart had pleaded guilty to charges that it illegally disposed of hazardous materials at its stores across the country. The company had to pay $81.6 million in civil and criminal fines. HEALTH AND SAFETY CODE VIOLATIONS. In August, Chevron pleaded no contest and agreed to pay $2 million to settle charges that it violated state health and safety regulations in connection with a fire at its refinery in Richmond, California that sent thousands of people to hospital for treatment of respiratory problems. DELAYS IN RECALLING UNSAFE VEHICLES. In August, Ford Motor was fined $17.4 million by the National Highway Traffic Safety Administration for taking too long to recall unsafe sport utility vehicles. PRIVACY VIOLATIONS. In November, Google agreed to pay $17 million to 37 states and the District of Columbia to settle allegations that the company violated privacy laws by tracking online activity of individuals without their knowledge. Note: For fuller dossiers on many of the companies listed here, see my Corporate Rap Sheets.